Easy to hire and fire workers. Labour is occupationally and geographically mobile. Government intervention does not distort the market. A skilled workforce which can adapt to changing requirements. Flexible hours and working contracts e.g. more temporary employment or working from home. Self-employment where workers and firms can be more flexible in how and when to work. Greater flexibility in pay arrangements. Why has there been an increase in labour market flexibility? 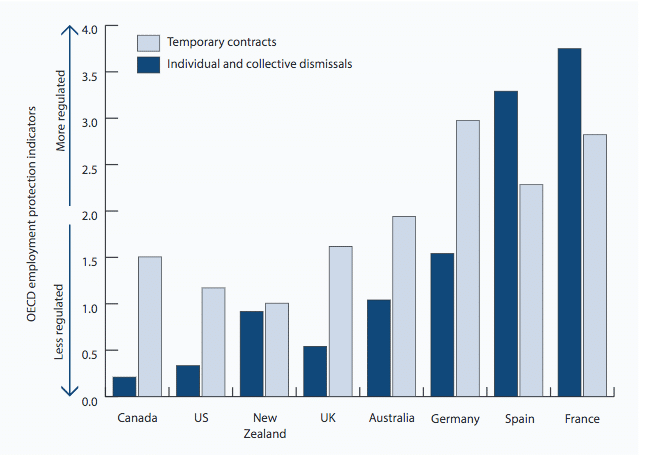 Globalisation has opened the UK to more international competition, therefore, to remain competitive firms have to keep labour costs relatively low and have sought to use more flexible labour contracts to keep labour affordable. Technological change has made it easier to have flexible labour markets. For example, the internet has increased the ability for people to work from home or set up their own self-employment business. Core-periphery model. This states that firms are making more use of a core workforce but also part-time temporary workers who are more flexible. Privatisation. Private firms have sought to increase profitability by cutting excess workers and inflexible labour contracts. Reduced power of trades unions such as banning closed shops and limitations on the right to picket. Harder to get unemployment benefits. Increased migration, e.g. workers from Eastern Europe coming to the UK to fill labour shortages. The rise in gig economy. The Internet has enabled people to hold numerous jobs at the same time. For example, the taxi driver who works for a local company and Uber. More job uncertainty. Greater flexibility can lead to more zero hour contracts where workers have no guarantee of weekly hours, leading to underemployment. Poor labour productivity. The UK has suffered from poor labour productivity. This could be due to many factors, but increased labour market flexibility may discourage firms from investing in human capital. If workers are on short-term contracts then investment could end up being wasted. Helps to act as an automatic stabiliser. In a booming economy, a flexible labour market can more easily respond to rising demand. For example, in Irish boom of 2000-2007 many migrant construction workers came from Eastern Europe. But, in the recession, many of these workers left – mitigating the rise in Irish unemployment. 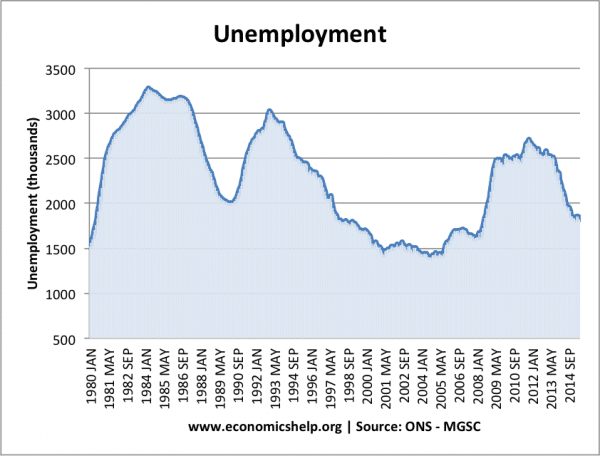 How flexible is the UK Labour Market? The UK has relatively light labour market regulation compared to European countries, such as Germany, Spain and France.